We met downtown on Easter morning for some quiet photos around the Tidal Basin. Little did we know that a huge, televised Easter celebration would be happening at 6:30am! A huge crowd surrounded the Lincoln but this couple went with the flow and let me direct them to some secret spots I knew about! They met in Nevada and moved out here together so we definitely wanted to do a traditional DC cherry blossom engagement session for them to share with friends and family back home. Safe to say we got exactly that! 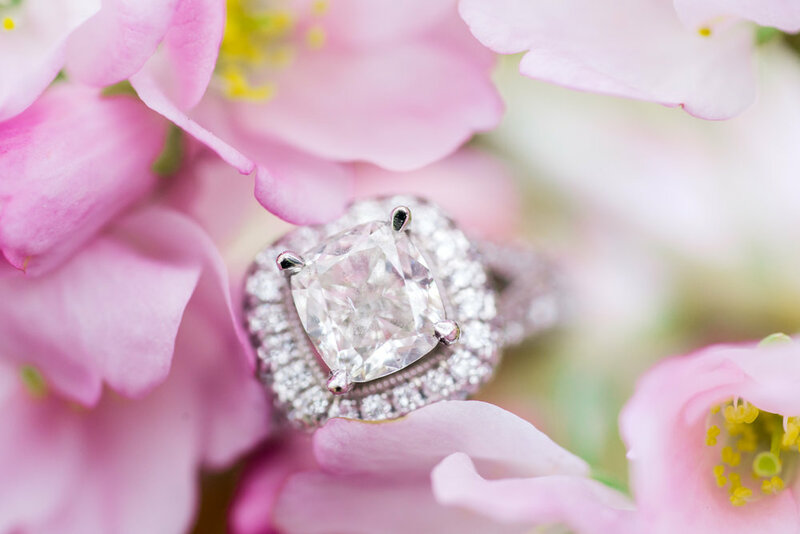 This blooming session is bursting with pinks and purples and a serious amount of flowers.